Gorgeous candlelight will wash over your room in a wave of waterfront style with this charming and small lantern. 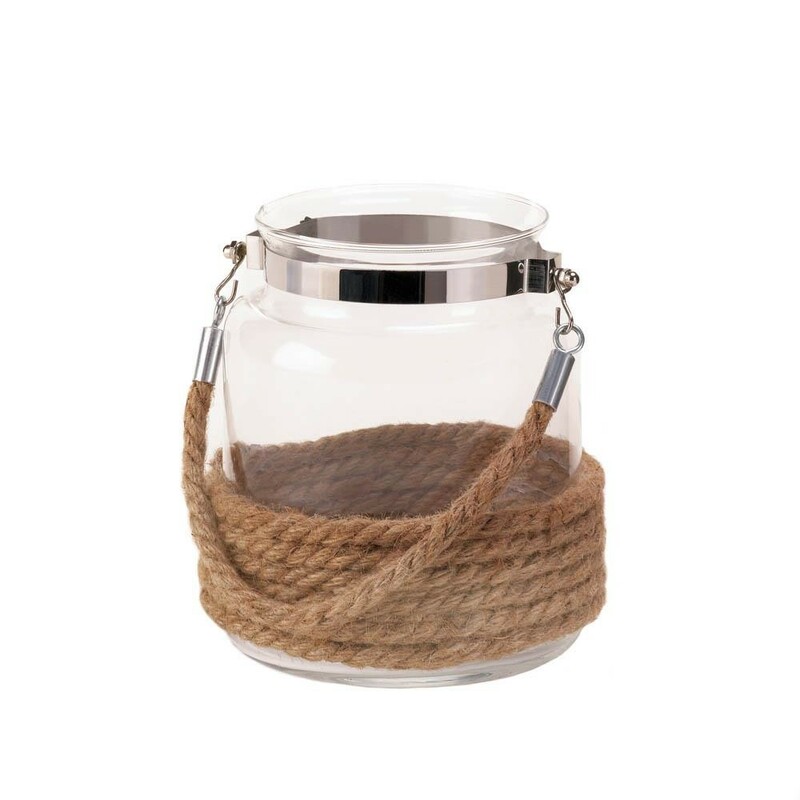 The clear glass jar is wrapped on the bottom with rope and fitted with a metal band around the top that features a matching rope handle. 13" high with handle.